These flyers explain when flood insurance is required for homeowners and renters who live in flood-prone areas. In certain cases, a resident must have flood insurance in order to be eligible for home repair or personal property assistance from FEMA. Report mandated by Congress on Preliminary Damage Assessment (PDA) information for FEMA-4263-DR- Louisiana for Severe Storms and Flooding beginning on March 8, 2016, and continuing. FEMA identifies coastal flood hazards, assesses flood risks, and provides accurate flood risk data to help drive communities toward mitigation actions and achieve greater resilience. This infographic presents the coastal flood hazard analysis and mapping process, used to conduct flood hazard analysis and mapping studies to produce FIRMs (Flood Insurance Rate Maps). 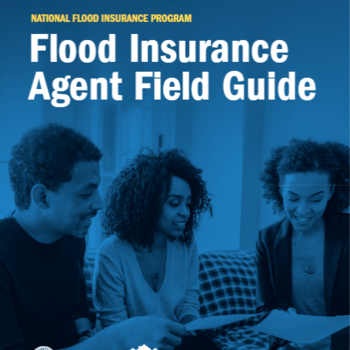 These flood maps are used to administer the National Flood Insurance Program and they provide information to communities for the adoption and enforcement of floodplain management measures to help mitigate the effects of flooding. As a result of damages caused by Tropical Storm Irene (Irene) between August 27 and September 2, 2011, the President declared a major disaster for the State of Vermont under the Robert T. Stafford Disaster Relief and Emergency Assistance Act of 1973 (Stafford Act). This major disaster declaration, referenced as FEMA-4022-DR-VT, authorizes the Federal Emergency Management Agency (F.E.M.A.) to provide Public Assistance (P.A.) through the Vermont Division of Emergency Management and Homeland Security (D.E.M.H.S./Grantee) to local governments, state agencies and eligible Private Non-Profit (P.N.P.) organizations in all Vermont counties. In response to Irene and the flooding within the Waterbury State Office Complex (W.S.O.C. ), the State of Vermont took immediate action to relocate laboratory facilities and staff housed in the Vermont State Agriculture and Environmental Laboratory (V.A.E.L.) on the W.S.O.C. campus to alternate facilities around the state. The State of Vermont Department of Buildings and General Services (B.G.S./Sub-Grantee) has applied for assistance under the P.A. Program to relocate the function of the state-run agriculture and environmental laboratories from the W.S.O.C. to a new facility to be constructed on the campus of the Vermont Technical College (V.T.C.) in Randolph, Vermont (Appendix A-1). These fact sheets are to keep the Louisiana communities informed about FEMA assistance available.